For those wondering, the following Halo 5: Guardians gameplay was captured on Xbox One X using the built-in Game DVR. The recordings were not altered in post. For those interested. The built-in Game DVR on Xbox One X records 4K 60fps footage around 25Mbps. For reference, Elgato’s HD60 Pro internal capture card can record up to 1080p 60fps footage at 60Mbps. Elgato’s 4K60fps internal capture card is not available until Nov 21st so I don’t know it’s bitrate. Also keep in mind YouTube has a not-so-good compression setting. However despite the lower bitrate recording and YouTube’s compression, the footage still looks really good but the games look even better when you’re playing them on a 4K display. With Xbox One X release you are now able to easily transfer your games and apps from any Xbox One console to another through your local network. This is the easiest and hassle free way to copy games. Unboxing the Xbox One X with a surprise! Microsoft and Xbox Canada gave me this Xbox One X for review purposes. Review and impressions will be posted after November 3rd. Halo: The Master Chief Collection will be getting fixed and (also) enhanced for Xbox One X Spring 2018! Halo MCC Fixed and Xbox One X Enhanced! Complete list of sandbox items being changed with the Weapon Tuning Update. Most notably, the Halo 5 Battle Rifle is getting nerfed! Halo CEA, Halo 3, Halo 3 ODST, and Halo Reach all coming to Backwards Compatibility soon, All Xbox 360 Halo DLC Free, Halo 5 4K on Xbox One X, and Halo Wars 2 Seasons Pass DLC Revealed! 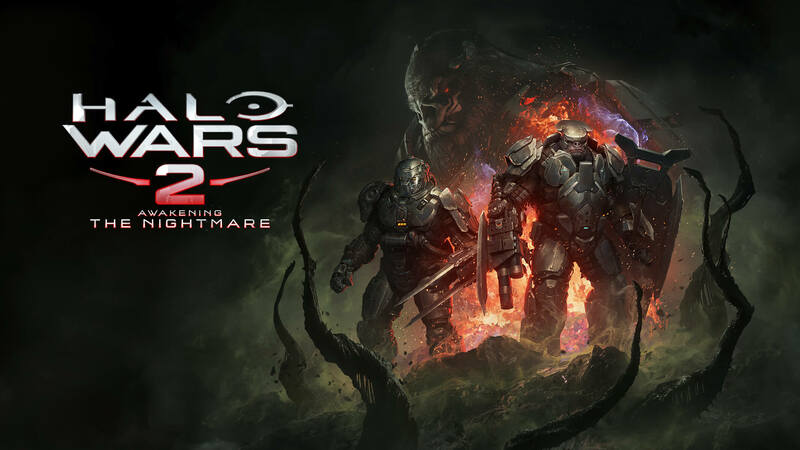 For more on Halo Wars 2’s “Awakening The Nightmare” Expansion. Click here. Halo Wars 2: Awakening The Nightmare Expansion Details! Details on Halo War’s 2 “Awakening The Nightmare” Expansion! The Flood are back with Halo Wars 2 Awakening The Nightmare Expansion coming Fall 2017! and The Flood are returning (totally canon too)! The expansion costs $20 USD and is not covered by the game’s Season Pass. As an aside, Leaders Jerome and Arbiter (Ripa ‘Moramee, HW1 Arbiter) are playable at E3 right now in the Terminus Firefight mode. Leaders Jerome and Arbiter will be coming to Halo Wars 2 in late June for Seasons Pass owners or $5.99 USD/each. Small news this E3. Halo Wars 2 will get a 4K update for Xbox One X and Halo 6 will feature LAN support!